Halstrum, LLC is a team of experts who pioneer and develop safe, all-natural products that dramatically improve the quality of life for all humans and animals alike. 100% Whole Bovine Colostrum Works for You! Because Colostrum contains concentrated levels of natural growth factors, such as IGF-1, IGF-2, EGF and TGF, this all-natural bovine colostrum can support your animals keeping them in peak condition. These growth factors also helps maintain the general health of all ages and breeds. Colostrum helps maintain a healthy intestinal tract and supports normal digestive function. Because bovine colostrum addresses the epithelial lining of the stomach, it offers a key tool in helping and supporting the onset of gastric upset, as well as helping address the root causes of colic. Our colostrum supports causes and maintenance, rather than simply managing symptoms. Bovine colostrum contains immune supporters, including Lactoferrin and Transferrin, which are key parts of a mammal’s innate immune system. Transferrin binds iron, creating an environment low in free iron – which in turn, makes it difficult for any invasive bacteria to survive. Colostrum can work to significantly maintain immune protection, particularly in stressful training or performance situations. The immune support offered by colostrum can also be a key tool in regulating the negative effects of allergies. Mammals develop allergies because of a combination of diet, stress, conventional medical treatments, heredity, and environmental factors. Colostrum helps address the root cause of allergies by shoring up immune responses in skin and mucosal cells, rather than just masking their symptoms. Colostrum is particularly helpful early in a foal’s or puppy’s life. The transition from nursing to weaning to the feed box or bowl is the first significant stressor that a young mammal faces. The growth factors, vitamins, minerals, antibodies and immune supporters help ease the stress of environmental changes away from mother’s protection and into a more environmental, communal setting. Whole bovine colostrum is naturally safe and easy to use. Thanks to its unique processing, this whole liquid colostrum has never been denatured from heat, retaining the full complement of antibodies, natural growth factors and nutrients missing in powdered colostrum. Colostrum can be used to enhance the first weeks of a puppy’s life. In large litters, where puppies may be competing for mother’s milk, small daily doses of colostrum support conversion of nutrition to energy – and support the immune system. When dogs present with diarrheas, practitioners have noted that as many as 95 percent of all diarrheas will resolve using colostrum. Colostrum can help address the immediate problem, and help keep the intestinal tract healthy. The immune support provided by colostrum through nutritional means helps pets with seasonal allergies, and overcomes the failure to thrive. These benefits are especially useful with rescue dogs, who often have issues related to poor nutrition and abuse. Colostrum has proven extremely effective for promoting healthy foal digestion and addressing symptoms of scours. Foals can be given colostrum from birth to support their immune systems and maintaing normal digestion and a healthy intestinal tract. Given two weeks prior to weaning through one week after weaning, colostrum can ease the nutritional transition stress from nursing to the feedbox. Additionally, as weanlings are moved into more communal situations, colostrum maintains their new immune systems to help prevent disease or infection from poor nutrient uptake. Colostrum can support balanced behavior, promote relaxation and reduces hyperactivity, easing the transition to an even larger communal pool of horses at horse shows or racetracks. During those shows and meets, colostrum can provide essential nutrients for an overall healthy body. During periods of digestive upset or skin irritation, colostrum can be given to support the epithelial lining of the stomach, as well as addressing skin irritation and maintaining the health of the skin and coat. Re-Borne whole, liquid, bovine colostrum is specially formulated to deliver a more potent and bio-available colostrum to livestock and show livestock as an all-natural supplement, and colostrum replacer. It aids the muscle development and maintenance of show livestock throughout their competitive season, but it also guarantees the passing of the immunity and growth factors needed for newborn calves to survive and thrive in the world. 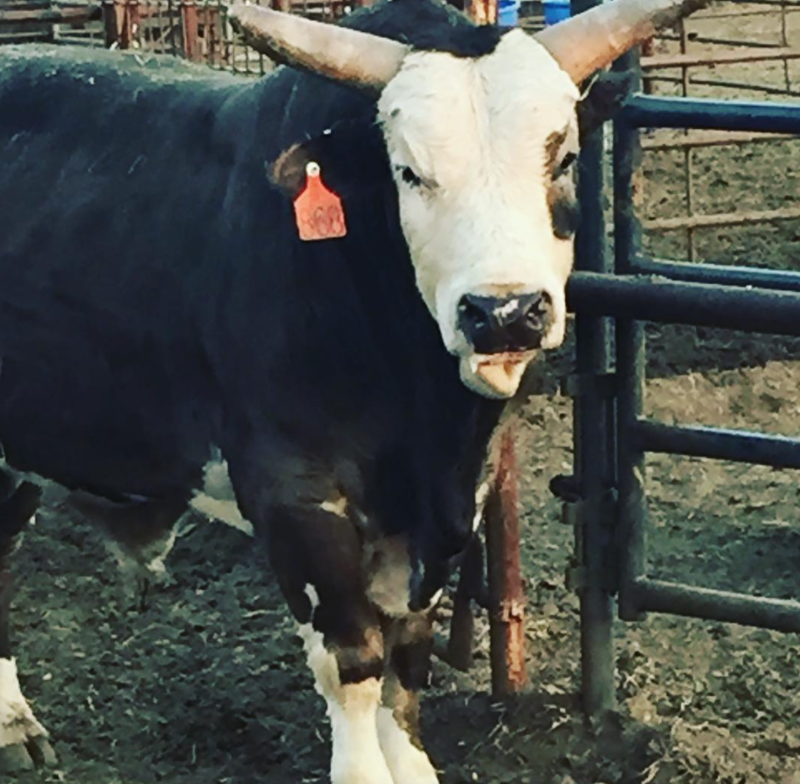 When utilized as a pre-show regimen, Re-Borne can maintain increased immunity while on the road or on the farm, and aid in maintained weight gain, all while delivering a full complement of unique nutritional advantages of all of the components for gut health and overall animal health and wellbeing. Some of these influential nutritional components actually act as natural prebiotics, allowing for the natural good microflora of the G.I tract to thrive and aid in optimal nutrient absorption. 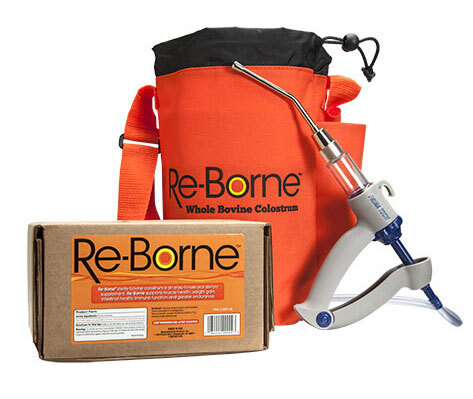 Re-Borne allows you to naturally maintain thriving competitive livestock without the use of steroids or steroid like substances, and or other unnatural harmful substances.